Great vocal sounds often call for long and not seldom complicated signal chains, involving anything from compression and reverb to delay, de-esser and distortion. Producing vocals and integrating them without them drowning or completely taking over is also one of the hardest and most determining stages in a mix. A make or break moment. That's when you'll be lucky to turn to the Vocal Toolbox EZmix Pack! This is the Swiss Army Knife of vocal production. Find anything from warm and up close voice over presets to a multitude of effect saturated lead vocal settings, various FX voices and signal chains perfect for beefing up your background vocals! All professionally designed, covering genres across the board and, like always, just one click away. 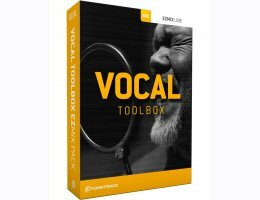 In short: your new go-to tool for anything related to producing great sounding vocals – creatively, quickly and EZ!